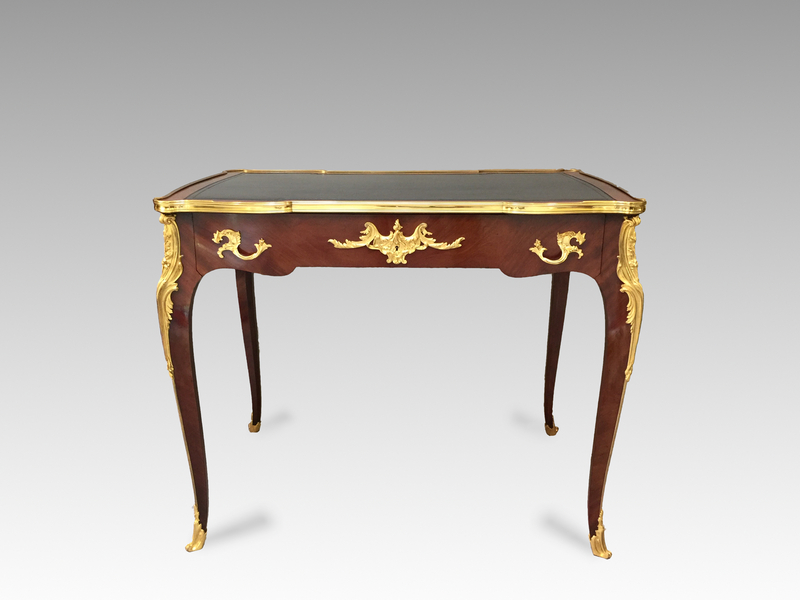 A fine quality, French, mahogany and gilt bronze mounted bureau plat in the Louis XV style. 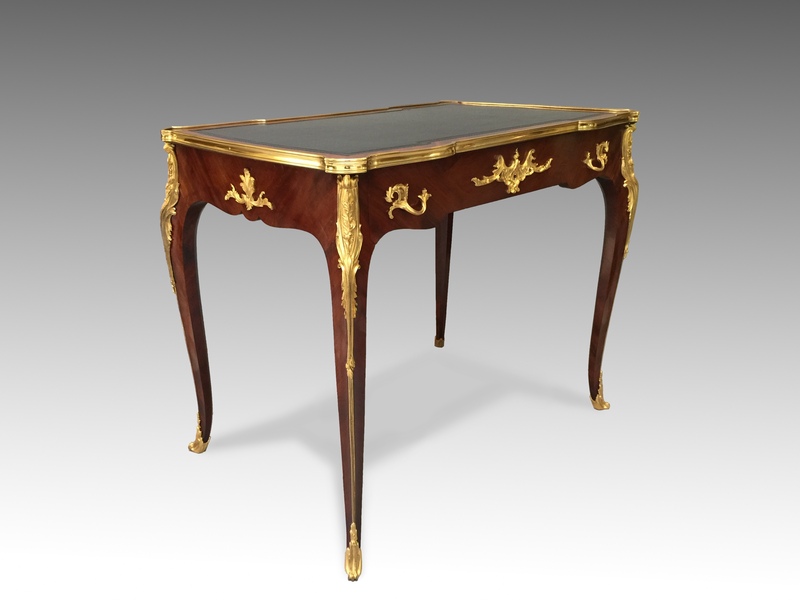 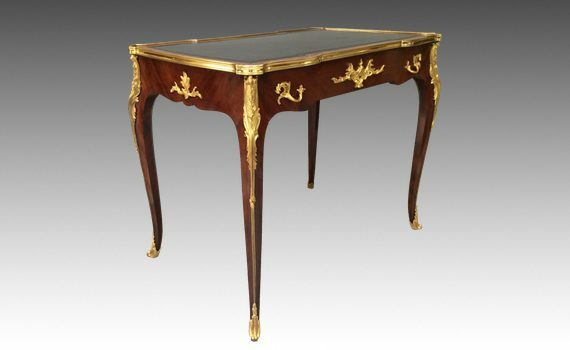 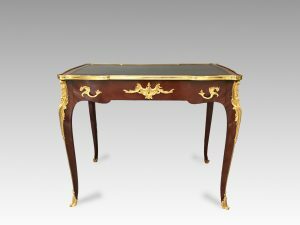 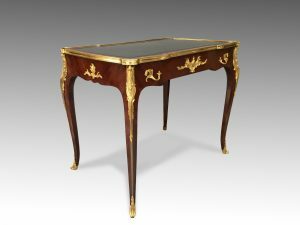 The serpentine shaped rectangular top with leather lined writing surface within a gilded rim, above a single oak lined drawer, standing on slender cabriole legs ending in gilt sabots. 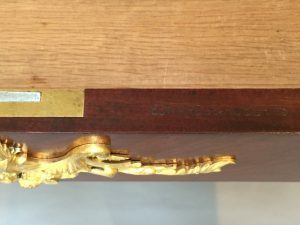 Leather replaced. Gilding original. 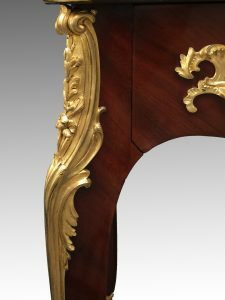 Mounts stamped ‘FL’ from the master moulds. Stamped ‘Edwards & Roberts’ to frieze.